Social Media is becoming a great platform to reach out more people at a time and help us to connect our friends and family who are far away, social media is becoming part of our day to day life in very addictive way. 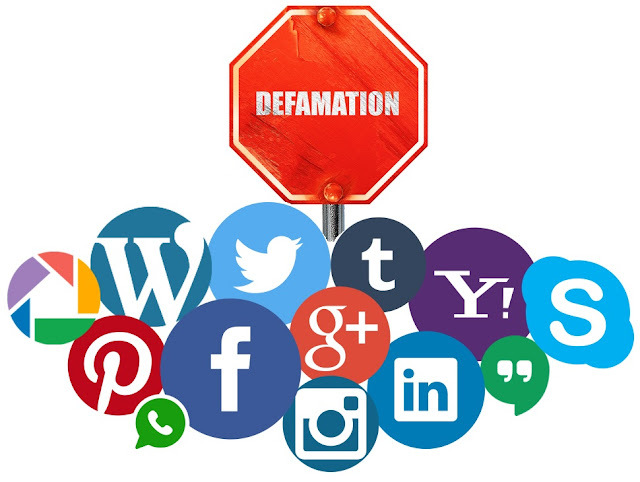 Where posting photos, thoughts, reviews and feedback is normal but it should be written carefully which does not harm feelings and sentiment of other people. From last six day when Yogi Adityanath sworn-in as Chief Minister of UP on Sunday, 19th March 2017, there were 9 cases registered at Noida, Bengaluru, Lucknow, Siliguri, Bareilly, Sonbhadra, Varanasi, Ghatkopar, Indore from several Hindu group for hurting sentiment of them by posting “objectionable, obscene, morphed and tampered” images of the newly appointed Uttar Pradesh chief minister. Noida: A man identified as Rahat Khan has been arrested from here for allegedly posting “objectionable” picture of newly appointed Uttar Pradesh Chief Minister Yogi Adityanath on Facebook. He was arrested in Dankaur area, according to the complaint, Khan uploaded the objectionable photo of the UP CM and posted comments on his Facebook page. Bengaluru: A woman Prabha N Belavangala was booked for posting defamatory Facebook posts about CM Yogi Adityanath. As per the reports, Bharatiya Janata Party’s Yuva Morcha members had filed a complaint against the woman accusing her of sharing “obscene, morphed and tampered” images of the newly appointed Uttar Pradesh chief minister. The complainants demanded strict actions against the woman alleging she showed Yogi Adityanath in poor light. The woman had been charged under section 67 of the IT Act and IPC 1860 sections 153A (relates to promoting enmity between two groups on grounds of religion, race, place or birth, residence or language), 292A (relates to printing of grossly indecent or scurrilous matter), 499 (pertains to defamation) 500 (Punishment for defamation) and 505 (Statements conducing to public mischief). Lucknow: A youth in his early 20s was arrested by police from Ghazipur district on Monday for allegedly circulating objectionable photographs of Yogi Adityanath on social Identified as Abdul Razzak alias Badshah, the youth posted morphed photographs of Yogi on his Facebook page and several WhatsApp groups on Sunday evening. media after he took oath as the chief minister of Uttar Pradesh on Sunday. FIR against Badshah had been registered and sections 499 and 295A of IPC which amount to defamation and outraging religious feelings of a group, have been slapped against him. Bareilly: Twenty-six year old Mohammed Salman, from Faridpur, Bareilly, was booked for morphing a picture of the Yogi and sharing it on WhatsApp, against whom the RSS’ student wing ABVP had made a complaint. Sonbhadra: Jayprakash Yadav, hailing from Rehta Katari, Sonbhadra, was held for allegedly sharing a photo of the CM. In Yadav’s case, the complaint was made by a few BJP workers. Varanasi: The Hindu Yuva Vahini had made a similar complaint against one Brijesh Srivastava in Varanasi, who was taken in by the police. Ghatkopar: After Yogi Adityanath was announced the chief minister of Uttar Pradesh, a 22-year-old resident of Ghatkopar area in Maharashtra posted an image of a warrior king with the face of the Yogi on his Facebook account. His friends immediately informed Sambhaji Brigade, an organisation that demand reservation for the Maratha community. Next day, members from the organisation went to Rinku's house and asked him to apologise. A case under section 295 (injuring or defiling place of worship with intent to insult the religion of any class) of the Indian Penal Code was registered against Rinku Gupta. Indore: The Indore police on Friday booked a man for allegedly uploading 'objectionable' pictures of Uttar Pradesh chief minister Yogi Adityanath on social media. Gautampura police on Thursday night received a complaint against one Sabir alias Shabbir Mansuri after which police filed the case. The accused has been booked under section 292 of IPC and section 67 of IT Act. Cyber Security-Extend your team with computergk's leading cyber threat experts for global threat cleverness, advanced threat monitoring, cyber promptness, and incident response. We serve our clients with utmost dedication and offer highly competitive and affordable security services to suit their needs. We provide static and mobile security guards. You can avail our hire security guards services, private party securities, Event security guards services, crowd control services and K9 security services.